Looking for tips on this kit. If you prefer working with the kit chassis, there are adjustments that others may have tips on. Many here have used donor chassis of later model kits, with correct trailing arm rear suspension. I might at least recommend upgrading the kit tires and wheels, to better fill the MPC's generous wheel openings. I used PPP wheels and Monogram tires on this one. Firefly made an excellent point on the need to upgrade the tire/wheel combo to better fill, as he states "the generous wheel openings" on the Chevelle. 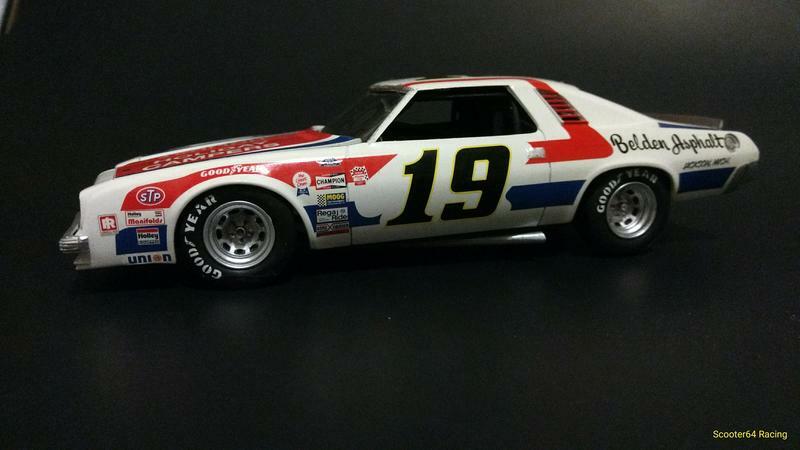 Every iteration of the Chevelle I've ever had going back to the first Gordon Johncock Plylon kit in the '70s seems to have wheel-wells that are too long from front to rear and a little less spherical than they should be. Paying extra attention to stance and swapping for the somewhat larger tires are two quick fixes that seem to pay off more on these particular kits than a lot of others.